Wearside Fencing supply and fit Betafence one of Europes leading fencing brands. The Betafence range offers a very large assortment of fencing systems for a wide range of applications, going from classical garden fences to high security systems. 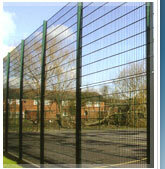 Ideally suited to provide a robust and safe surround for all outdoor courts. 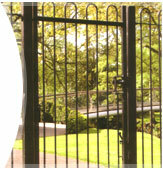 Single and double leaf manually operated high security gates. A strong, versatile design. Highly rigid, long life and low maintaince fencing with an attractive appearance. Heavy welded mesh fencing offering a high level of security without an aggressive profile. Competitively priced solution that is low maintainance as well as being aesthetically pleasing. 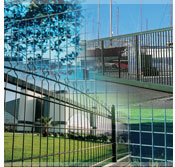 Smart and attractive appearance providing perimeter protection with high degree of visibility. Simple yet innovative design which is easy to install with a decorative type mesh pattern.